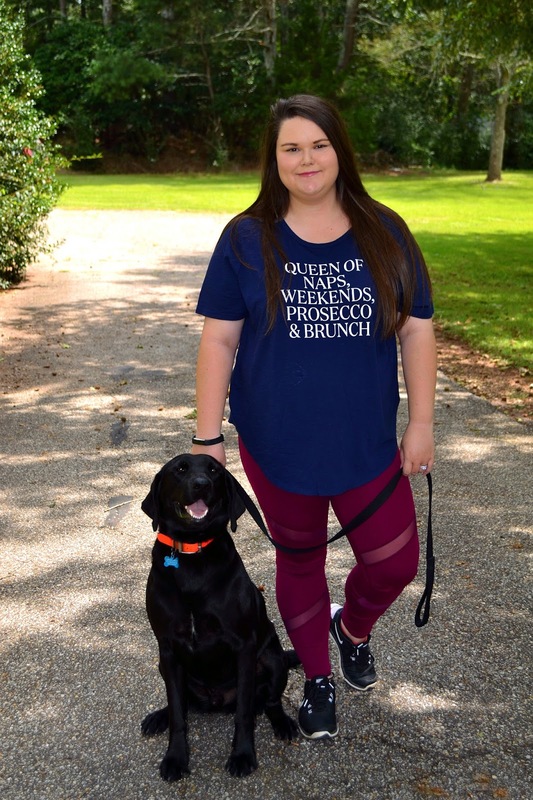 Disclosure: This post contains affiliate links-thank you for supporting Southern & Style! Forrest & I hope y'all are having a happy Saturday & enjoying your weekend, your naps, your prosecco, and definitely your brunch! I picked up this outfit a few weeks ago on a little shopping trip with my Mama & it has been a favorite since then, so comfy but still cute. 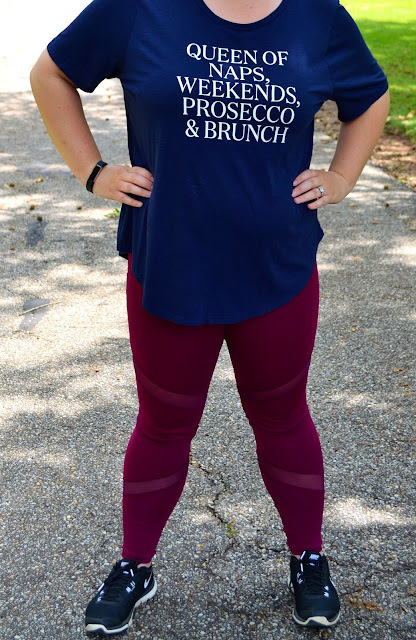 One of the best parts of Fall to me is newfound motivation for working out and with that of course comes new athelisure outfits, just like this one. So along with sharing my most recent favorite outfit, I also want to share five easy ways to be more active this Fall. . . I love taking walks around the neighborhood, but it's hard to get together with others to walk...but Forrest is always down to go on an adventure, so he's an awesome walking buddy. 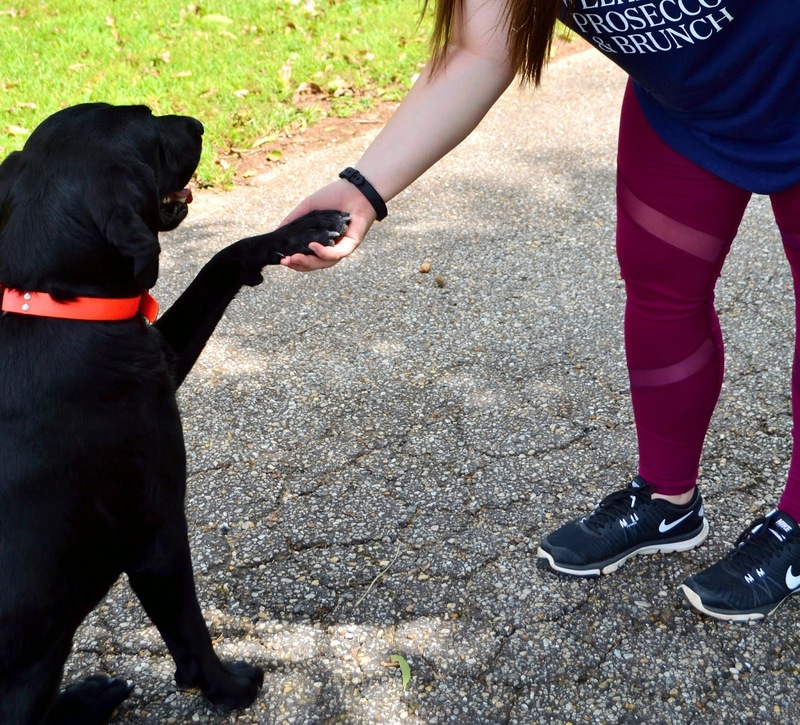 If you don't have a dog, lots of shelters need volunteers for people to come take their pups out for daily walks-it's a great way to serve yourself & your community. Fall is the best time of year for picking a new trail & taking a hike! The weather is getting cooler & more crisp, plus the leaves are turning all different colors-so take advantage and head to your nearest national or state park, or maybe even your local park. When my husband & I honeymooned in Savannah, we quickly discovered that it was one of the most walkable cities. Everywhere you go there was a new square to discover and then of course, the riverfront. This time of year is very popular for 5Ks, fun runs, marathons, etc. and what a better way to be more active than to do it not just for yourself, but to help others too. Watch out for races in your community! You may be thinking...watching TV has nothing to do with being active, it's called Netflix & Chill for a reason, right? But instead, you're gonna do Netflix & workout-take your iPhone with you to the gym, prop it up on the treadmill or the elliptical and only let yourself watch that show while you're working out. Or, if you prefer working out off of equipment or outside, pick out your favorite podcast (mine currently is a toss-up between My Favorite Murder & Pretty Little Liars After Show) and only listen to it while working out-you'll look forward to working out if you only get to take in your favorite entertainment while you do it! 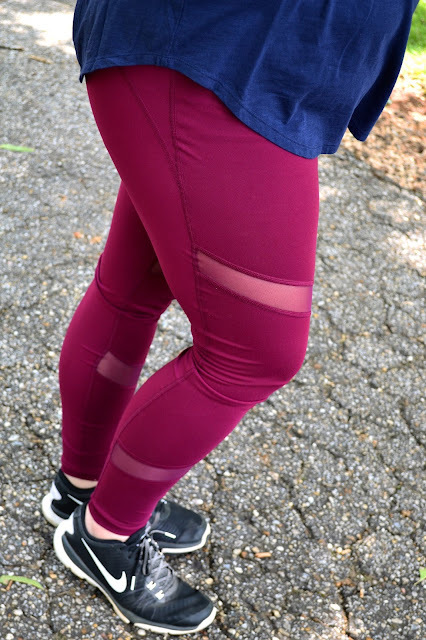 How fun are these mesh details on these leggings?! 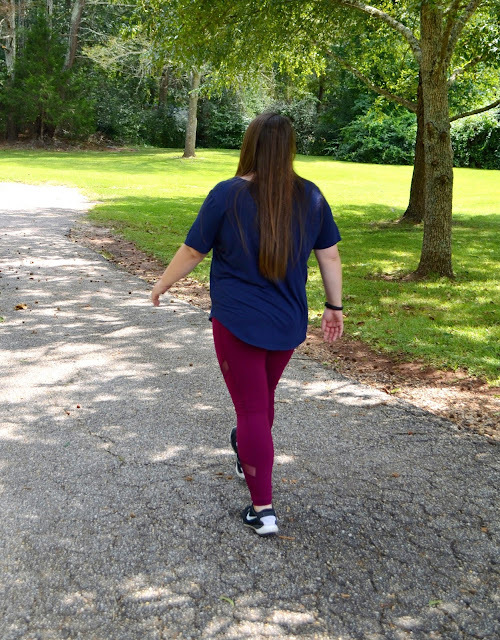 Let me know below what you're doing to get moving more this Fall! All great ways to be more active! Great tips on being more active! 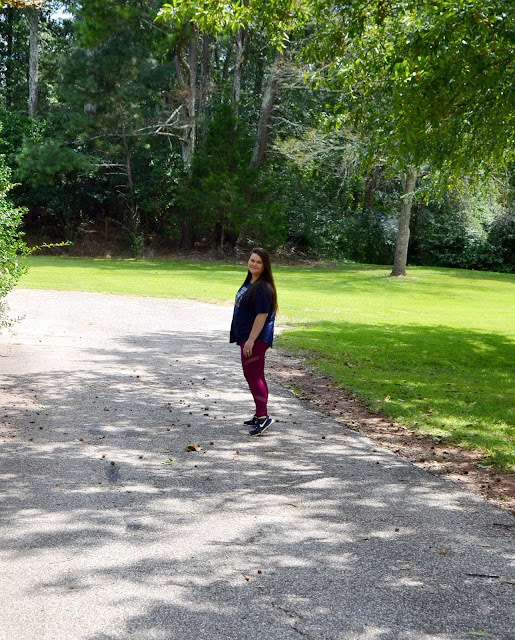 Walking around is one of my favorites because it's so easy to do on my college campus! These are all such great tips! Also I love that top! Obsessed with those leggings! AND they are the perfect color for Fall! 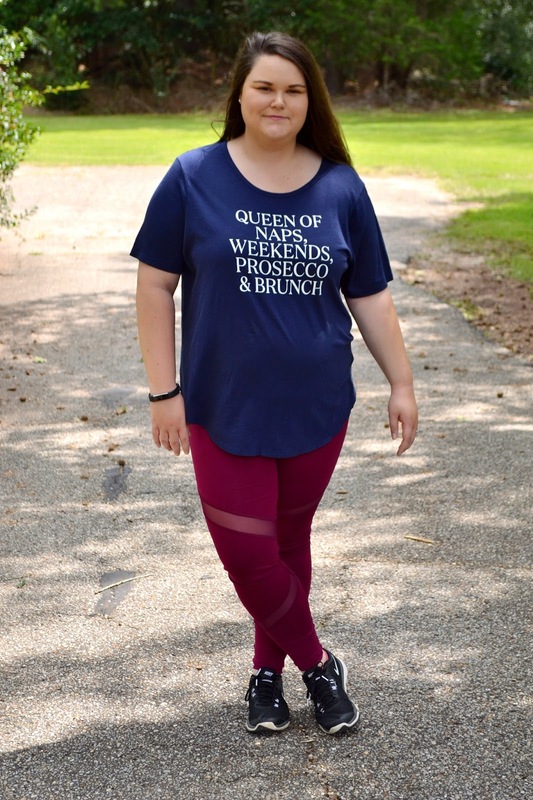 Love those leggings - Old Navy has such cute workout clothes! And your pup is so cute! I want to have a puppy so bag, but unfortunately my current lifestyle doesn't leave me too much time to properly care for a dog. My parents have a dog and I love our long walks. 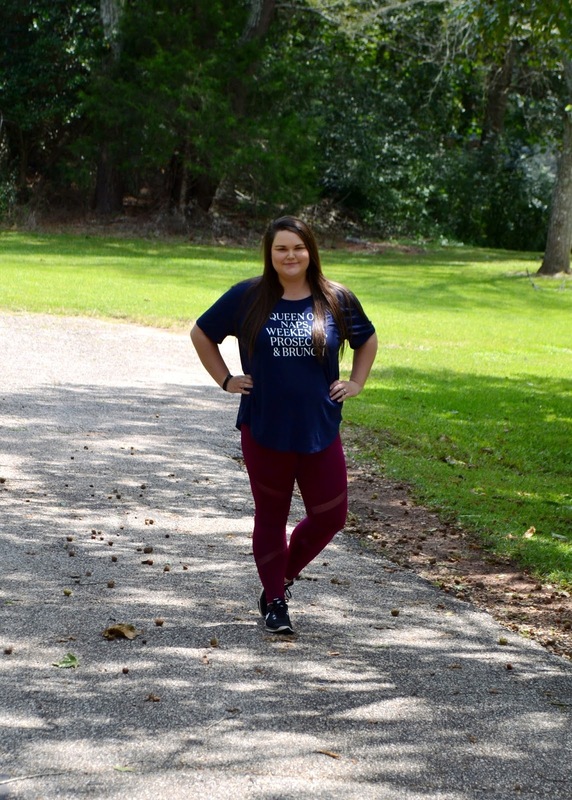 Fall is the perfect weather to get outside! I'm definitely going to try to sign up for a 5 K this season, I love doing the one on Thanksgiving morning! These are such great tips! I love that tee!! So smart to take your phone with you to the gym and binge-watch while you work out! I'll just binge from the couch, though ;) I love that t-shirt! I definitely try to stay active any way I can. My dog is great motivation and I love hitting the gym after a stressful day! I just recently got my fitbit and it's inspiring me to be more active! Love these tips for staying healthy.